Senior officials say attorney general vehemently opposes Minister Gilad Erdan's bid, arguing his ministry has no legal authority to collect information on Israelis. Courtesy of Mondoweiss, here is the copy of the UN Report on Israeli Apartheid that was removed from the UN website due to severe political pressure. Read more about the controversy on Mondoweiss! The United Nations Economic and Social Commission for Western Asia (ESCWA) published the document, “Israeli Practices towards the Palestinian, People and the Question of Apartheid,”[PDF]. ESCWA is mandated to review Israeli aggressions. While neither Jews or Palestinians are racial groups, the report stated, the apartheid standard was met because ESCWA found a “racial character” to the policies of the Israeli government enacted toward both Jews and Palestinians. This is expressed inside of Israel through separate categories for a citizen’s “nationality” (Jewish or Arab) and in the occupied territories by the absence of citizenship for Palestinians. 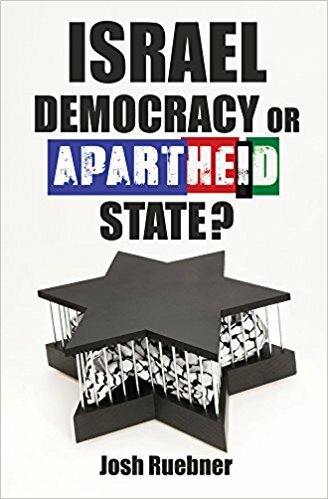 Israel was said to have divided Palestinians into different spheres of governance, each with fewer rights than Jewish-Israelis. Sub-sections of the report outline Palestinians citizens of Israel, West Bank and Gaza residents, Jerusalem residents, and external refugees, all of whom have unequal rights in comparison to Jewish-Israeli citizens. For years, Israel has sold, and we in the United States have bought, the cheap peel-away sticker that it is the "lone democracy" in the Middle East. It has a nice, assuring ring to it, sort of like "opportunity" or "peace", whatever these chants may, in practice, mean. But, like beauty, it remains very much in the eye of the beholder, and like reality, sooner or later the truth surfaces, no matter how well its fiction is packaged. We in the US are damn good at packaging ourselves, and our charade of equality and justice is second to none. We sell stuff; lots of it. Much of it false. Very much like a willing stepchild, Israel has learned from us that if you say something long enough with vigour, power and money to back it, it begins to take on a surreal life of its own, no matter how much reality puts the lie to its embroidery. Indeed, we are quite accomplished at obfuscation. We know it all too well. We've hidden behind the fog of it for so long that, even today, those who remind us that the earth is, in fact, not flat, remain heretics to be scorned. Have we found the weapons of mass destruction yet? Long before Israel erected separate communities divided by will of law to segregate its Jewish citizens from its almost two million Palestinian Arab ones, the US perfected the art of artificial divide. With the accuracy of delusion, from coast to coast, could be heard the refrain that race-based segregation was lawful as long as the facilities provided to each race were equal. For decades, the legal fiction of "separate but equal" was the mantra that state and local governments, throughout the US, held out to justify the artificial, indeed lawful, separation of tens of millions of Americans on the basis of race and nothing more. Whether in services, facilities, public accommodations, transportation, medical care, employment, voting booths or in schools, black and white were segregated under the cheap shibboleth that artificial isolation of the races insured equality, as long as the conditions of their separation were legally equal. These laws came to be known simply as Jim Crow.